I am currently rocking That's Hula-rious from OPI's Hawaii collection. 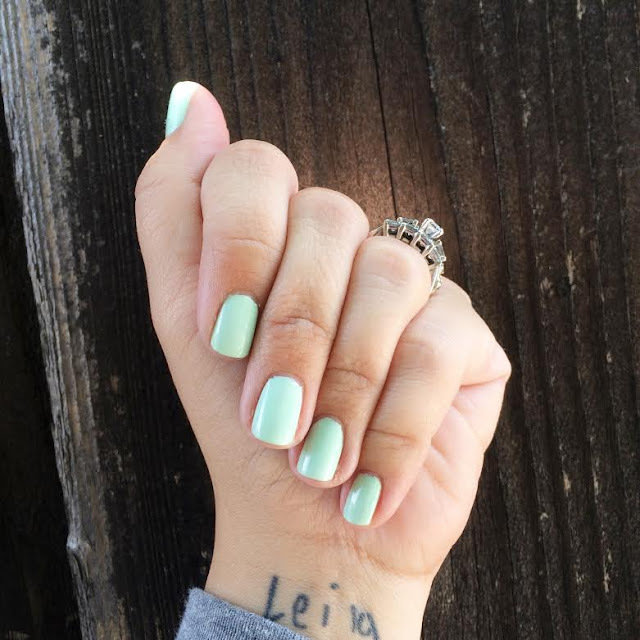 It's the prettiest pale (almost) mint green. I think it's a nice break from the brights I've been wearing all summer.